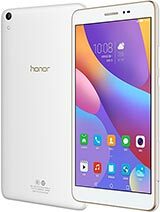 Repair firmware solutions for Huawei Honor Pad 2 JDN-W09 if boot loop, Hard brick, Lost recovery, or can’t boot to home screen, etc. Full OTA = OTA binary image files that allow you to manually update your device. This has the same effect of flashing the corresponding factory images, but without the need of wiping the device. Usually this firmware is used for unbricking or repair firmware by some users. ASIA PASIFIC: Australia, Azerbaijan, Bangladesh, Cambodia, China, Hong Kong, China, , Indonesia, Japan, Kazakhstan, Laos, Malaysia, Myanmar, Nepal, New Zealand, Philippines, Singapore, South Korea, Sri Lanka, Taiwan, China, Thailand, Turkey, Uzbekistan, Vietnam. EUROPE: Austria, Belarus, Belgium, Bulgaria, Czech, Croatia, Denmark, Estonia, Finland, France, Germany, Greece, Hungary, Italy, Latvia, Lithuania, Macedonia, Netherland, Norway, Poland, Portugal, Romania, Russia, Serbia, Slovakia, Spain, Sweden, Switzerland, Switzerland, Switzerland, Ukraine, United Kingdom. Please leave comment if you found broken link or have question. I try to download full-ota firmware but the link is broken. You help me?